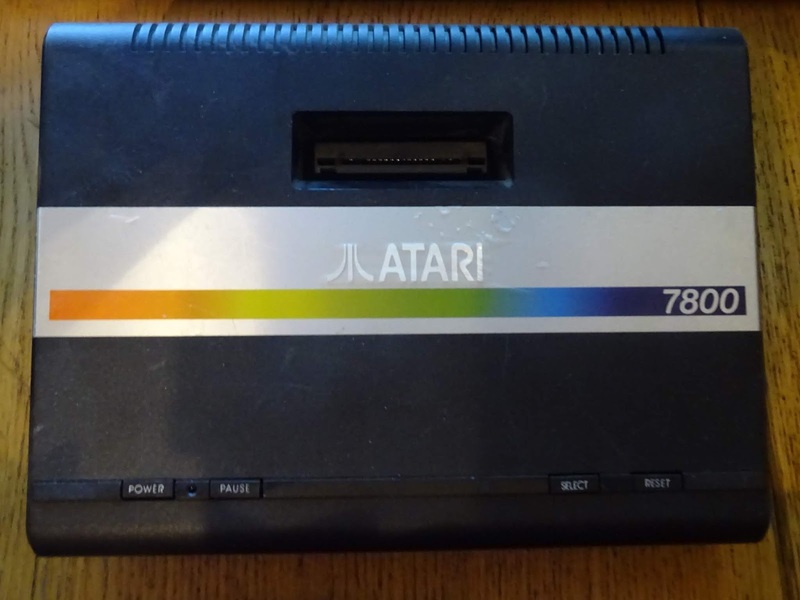 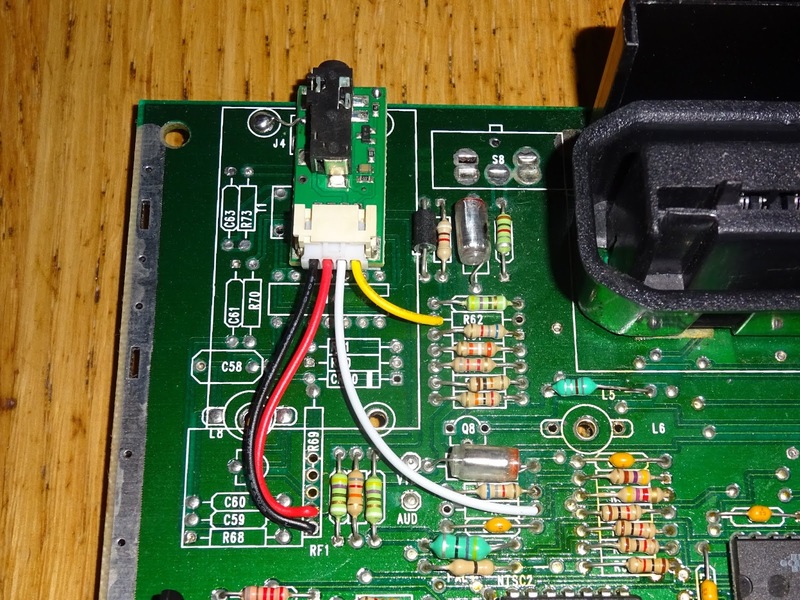 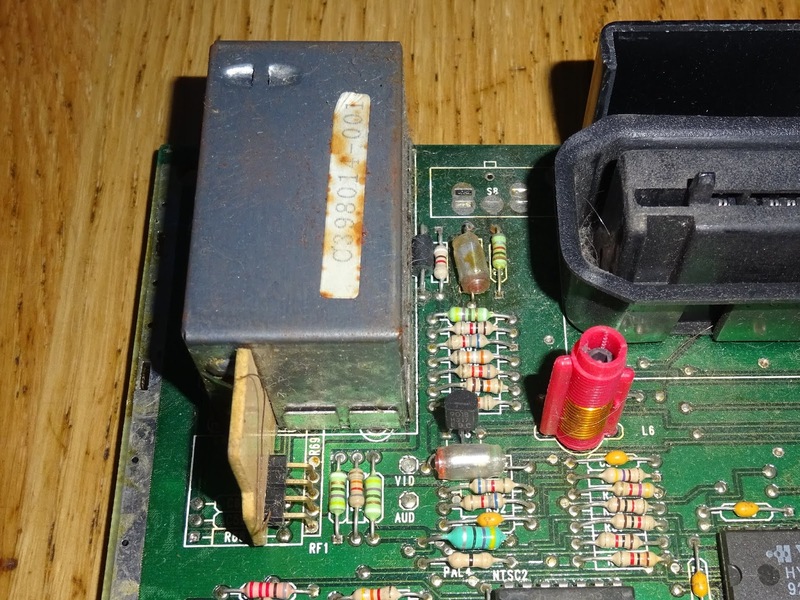 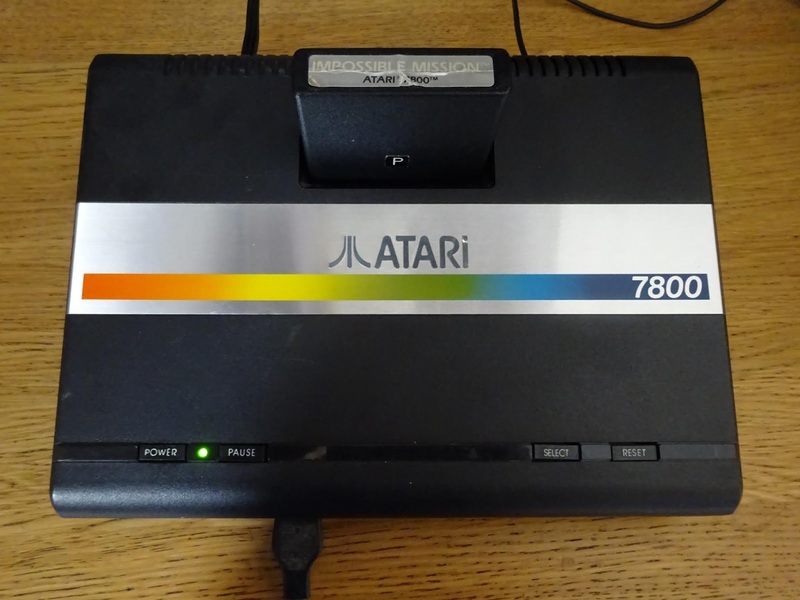 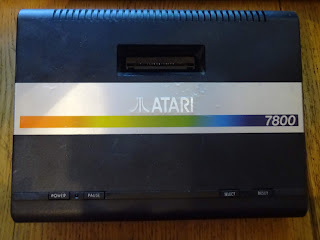 Following on from the previous blog post, an AV out composite video conversion of an early NTSC Atari 7800, here we have a later PAL Atari 7800, and I'm going to do the same thing to that. 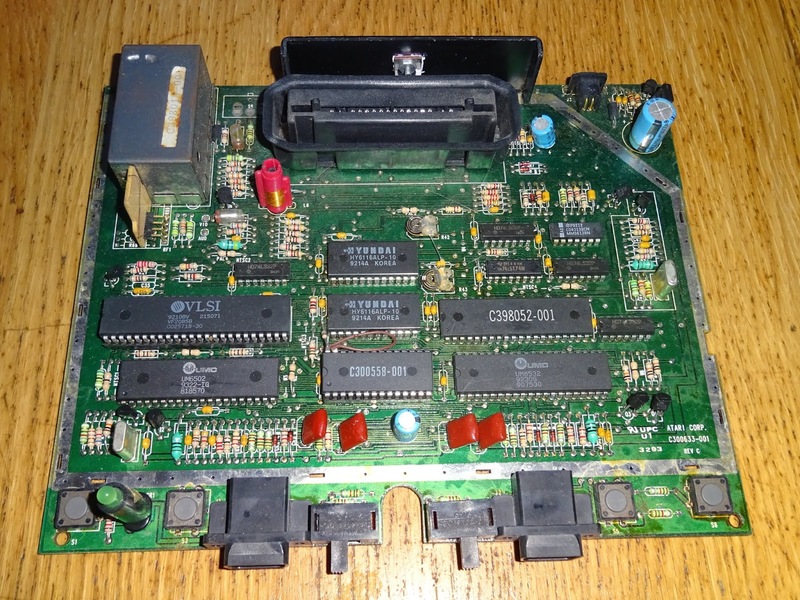 Although this particular machine is PAL, the board inside looks like it can support PAL or NTSC, with the appropriate jumpers, and suitable Maria, Stella, and ROM chips. 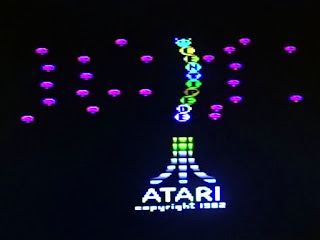 (note, there are points marked 'VID' and 'AUD' which do carry these signals presumably as test points, but the video is unbuffered and has the audio subcarrier mixed in, so it's not suitable for direct connection). 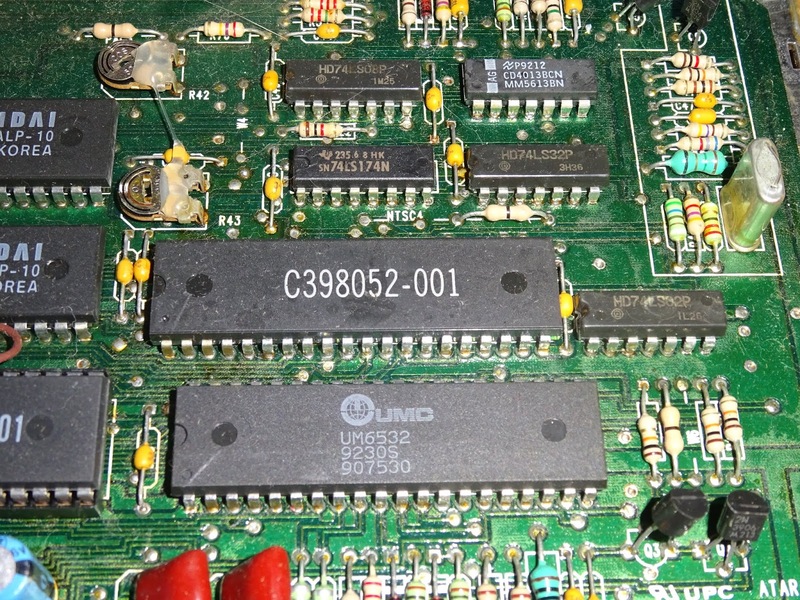 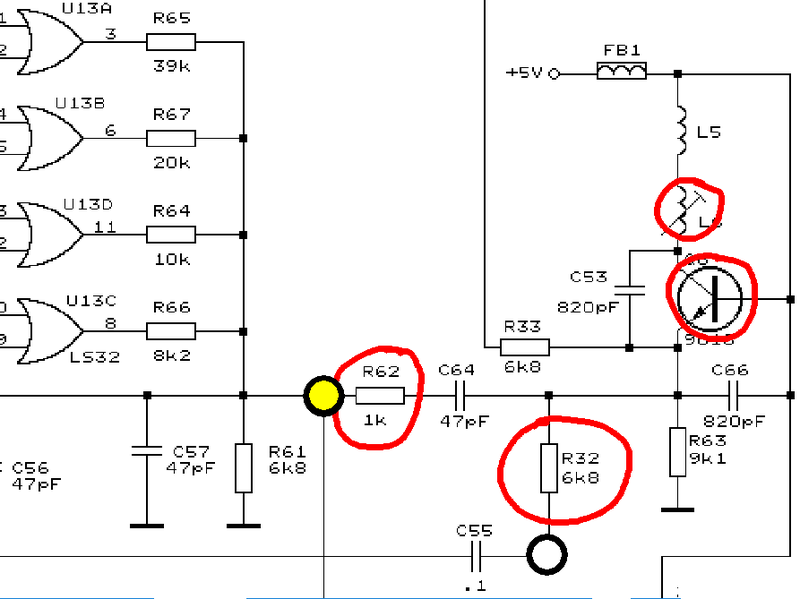 There are a few differences in layout to the earlier NTSC only board, but the circuit is basically the same. The main differences are the lack of sockets (other than Maria and the ROM chip), the lack of the side expansion connector (which was never used), and the ROM is 28 pin (and now contains a built in Asteroids game). 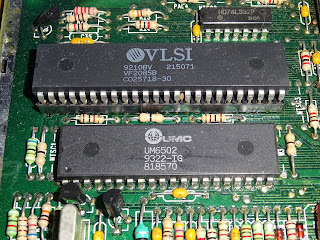 Other than those, the rest are PAL versions of the chips in the earlier NTSC machine. 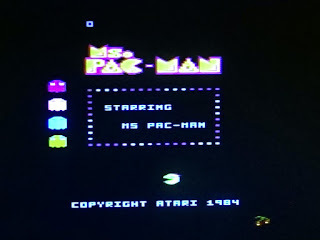 This time, the CPU is marked as UM6502, rather than the internal Atari part number, which should be the same as the 6502C, and not the same as the standard 6502 or 65C02. 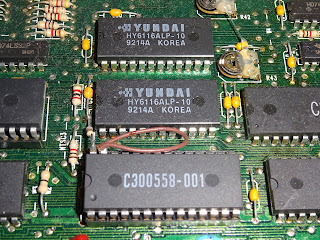 The TIA chip is very plainly marked, no indication of manufacturer here. 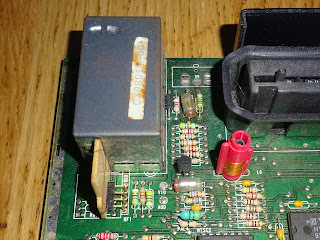 There are some bodge wires on the ROM, also plainly marked. It is not clear why the bodge wire and resistor are there, but they are there on other 7800 boards as well. 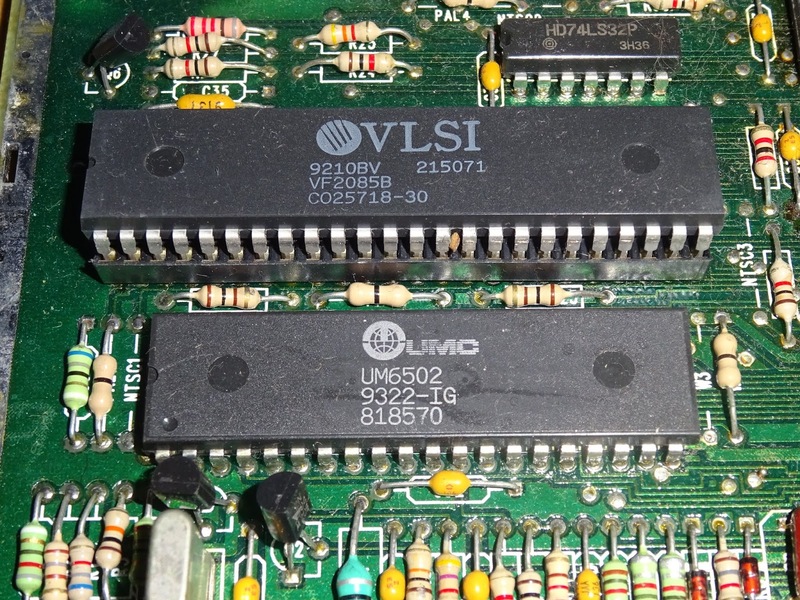 There are various jumpers for the ROM chip, including the option to switch the polarity of the chip select from positive (used on the cartridges so it can be wired direct to A12) to negative (as most EPROMs use). 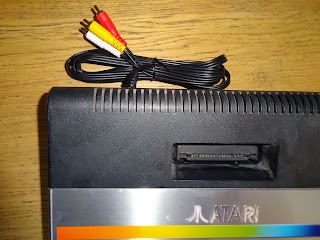 The power input is slightly re-arranged, but still has soft power on capability and that unusual 2 pin power connector. 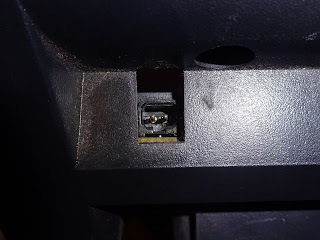 It seems like they had other ideas in mind when they designed the case. A 2.1mm DC jack socket fits perfectly in that cutout. 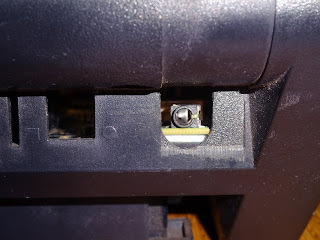 As before, I fitted one, mounted upside down, held in place with a cable tie through the original mounting holes, and wired (centre negative) to the original input pins. 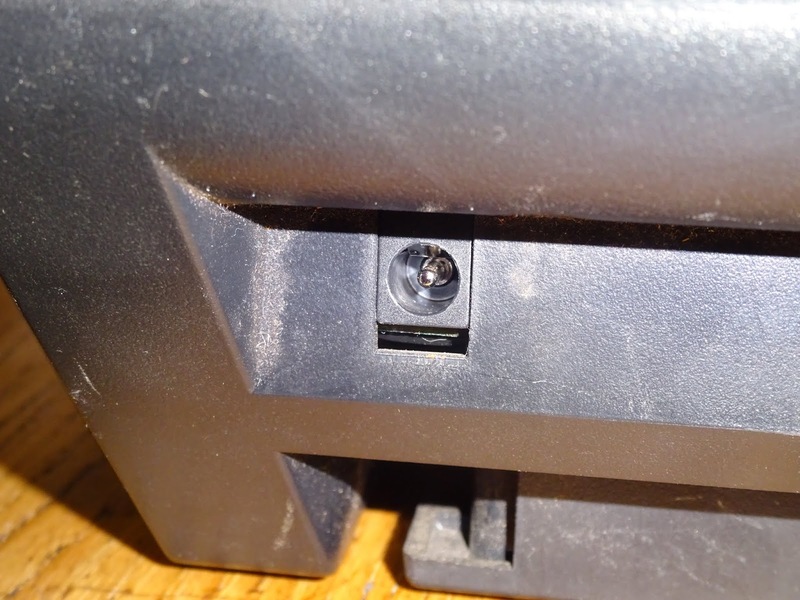 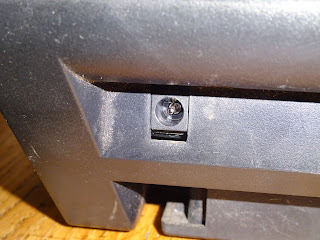 This isn't really part of the composite video mod, but I just don't get on with those connectors, so prefer to standardise. 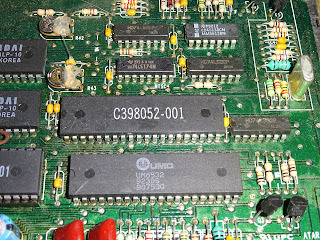 The AV section also has lots of familiar parts. The parts to be removed are ringed. 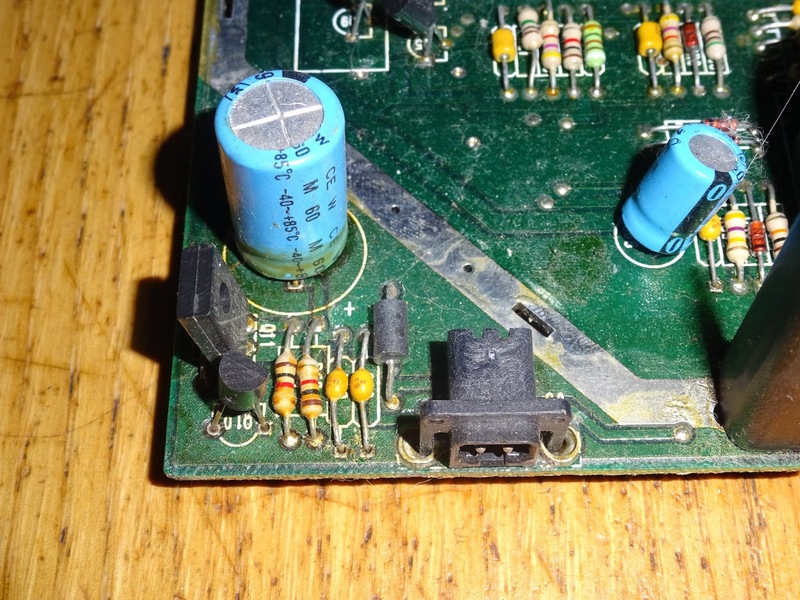 The same list as usual, different part numbers, but the same circuit.The variable inductor L6 and transistor Q8 are removed to disable the audio subcarrier oscillator. 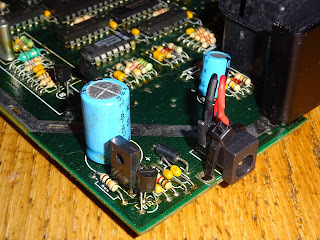 R32, a 6K8 resistor, is removed to separate the audio output from the TIA (but leaving the 1K pullup and 100nF decoupling capacitor in place). 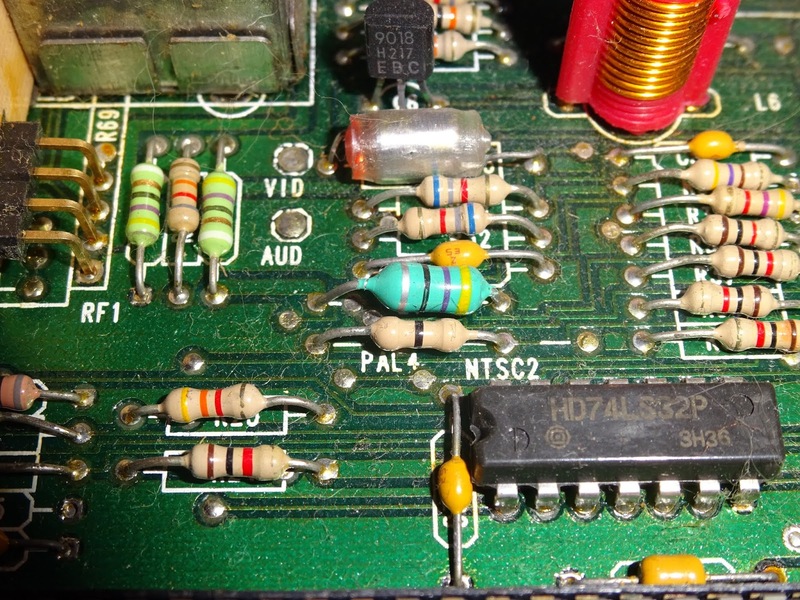 R62, a 1K resistor, is removed to separate that section from the point where the video signal is assembled. 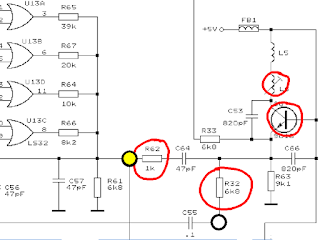 The yellow circle shows where the video is picked up from, and the white is the audio. 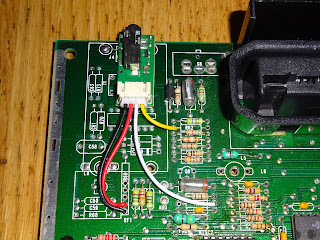 Power is picked up from the supply to the modulator (which is the 5V rail via FB1). 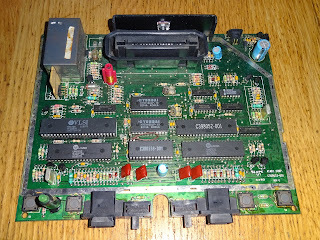 The final thing to remove is the modulator. 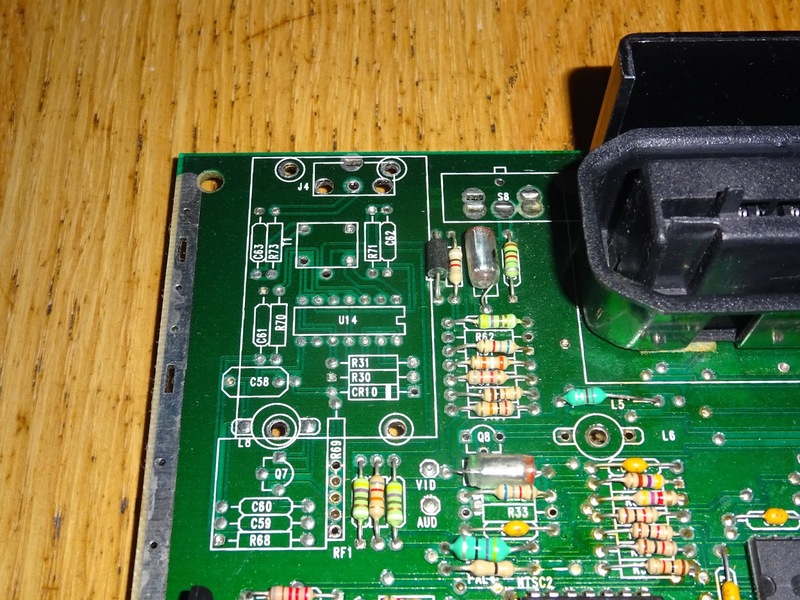 This version of the PCB is also designed to have a alternative option of a modulator circuit on board, rather than the usual off the shelf canned module. This is protected by masking tape. 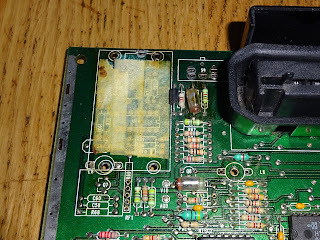 With that removed and the board cleaned up, time for the 'Deluxe Composite Video Mod' from The Future Was 8 bit. 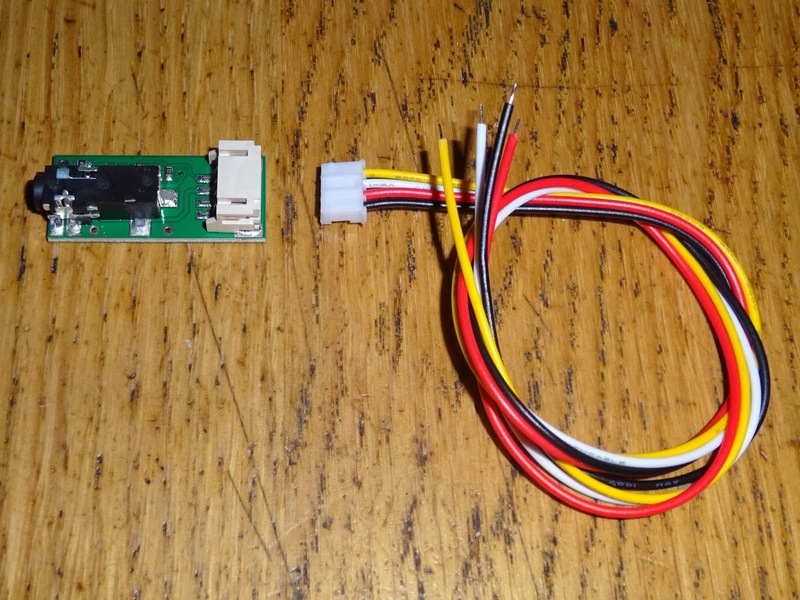 This is supplied with a pre-wired detachable cable which just needs to be cut to length depending on application. 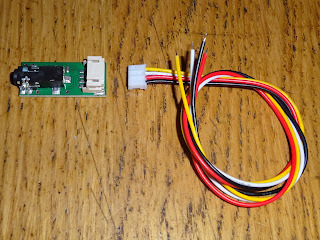 The video buffer board itself can be mounted to the main PCB using a double sided foam pad or hot melt glue. The wiring with these new modules is very easy, and picks up on points from the parts that have been removed. Colours should be logical, black for 0V, red for 5V, white for audio, yellow for video. Just make sure the board is mounted to line up with the hole in the case. 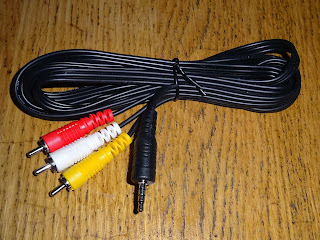 You can then attach the 3.5mm jack to phono plug lead that is supplied with the kit. 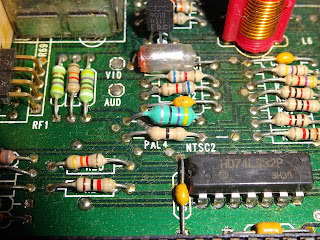 Here yellow is video, and the red and white jacks both carry the mono audio signal. 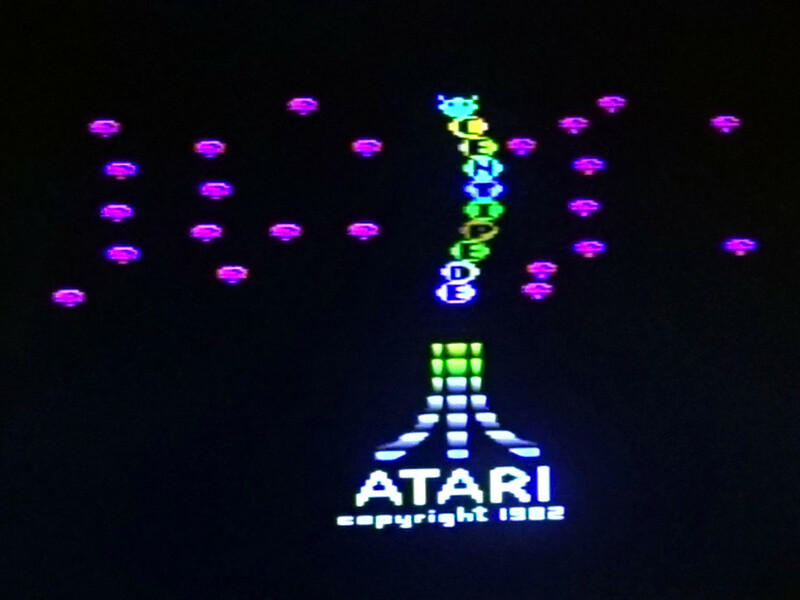 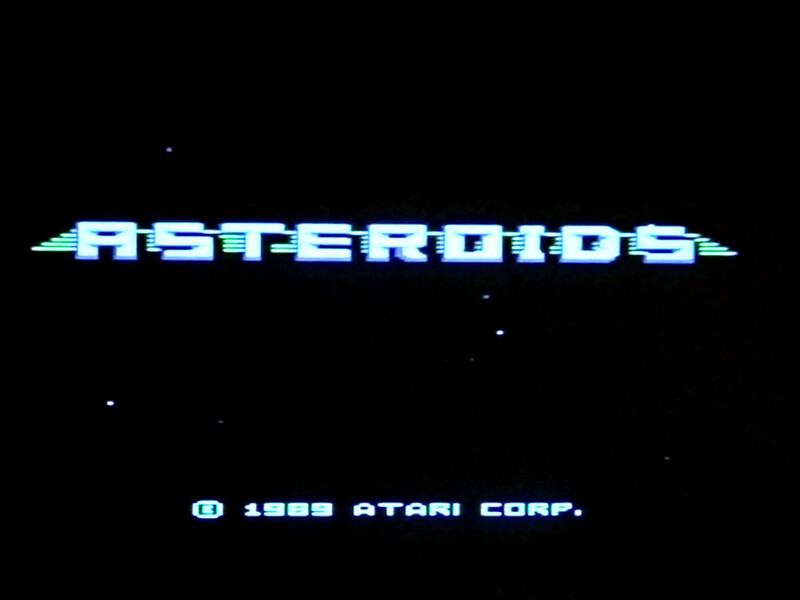 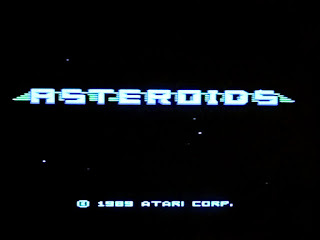 Without a cartridge, the 7800 has a built in asteroids game. 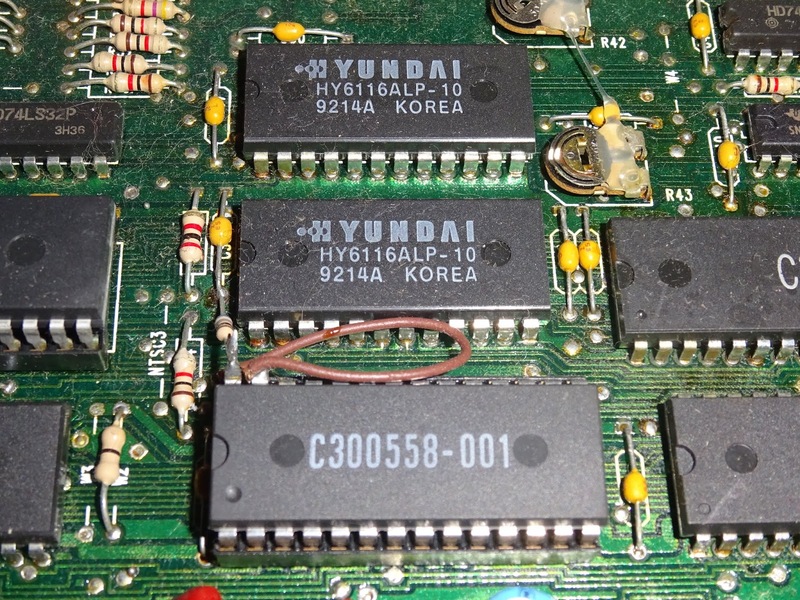 This time I do have some 7800 cartridges of the correct region that I can test with. 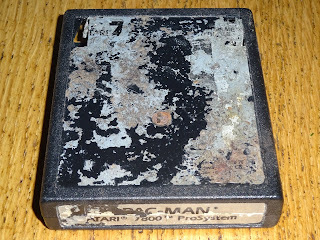 Including this pristine Ms Pac Man cartridge kindly donated by TFW8b #rare. Which, contrary to it's appearance, works fine. And of course you can play all your PAL 2600 games. So that's another system brought up to date with a modern power supply and composite video output. 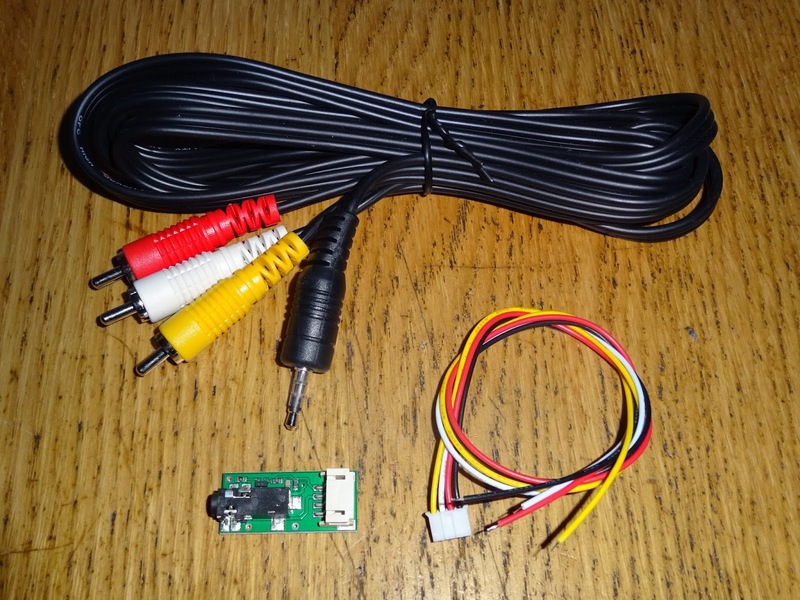 The 'Deluxe Composite Video Mod' is available from The Future Was 8 bit.